Oeno Vaults offers temperature controlled pick ups from wineries in Napa Valley and Sonoma County, climate controlled cellaring, online inventory management, and on-demand shipping to locations across the country. finest Napa and Sonoma County wineries, let Oeno Vaults handle the logistics. storage, Oeno Vaults provides the cellaring experience your collection deserves. 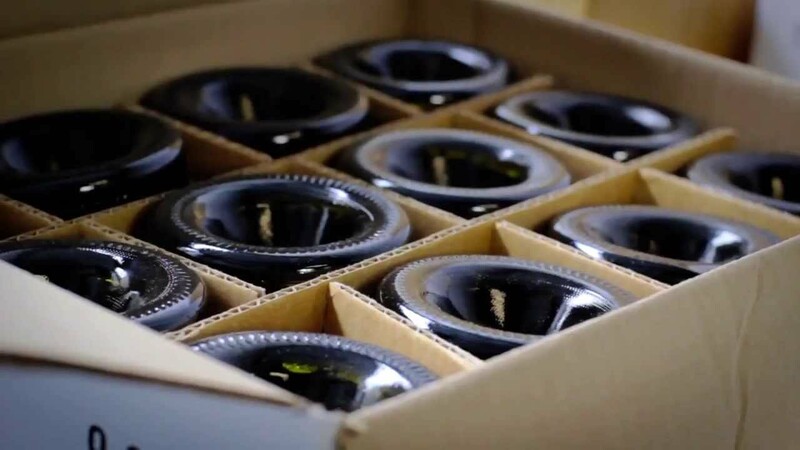 When you order wine from any of your favorite Napa or Sonoma County wineries, Oeno Vaults will receive, pick up, and deliver your wine to your personal vault in temperature controlled trucks. On arrival at the Oeno Vaults facility, each bottle will be catalogued, bar-coded and photographed, so that your collection will always be up-to-date and available for management via the Oeno Vaults web portal. Your collection will be stored in an individual, secure, climate-controlled vault. All vaults are monitored for temperature, humidity and security to ensure optimal storage conditions for your wine. At Oeno Vaults, we treat every bottle with an attention to detail that is unmatched in the industry. Watch the video tour to see why Oeno Vaults is the only choice for your wine storage needs. Our facility is monitored 24 hours a day by professional alarm management specialists. We monitor temperature and humidity within our facility with digital readings taken 24 hours a day. Each customer has their own individual vault to help ensure that each bottle is cared for meticulously and to avoid any chance of collection commingling. All power systems are backed up by clean burning diesel generators with automatic transfer systems, allowing for seamless power sourcing. To power our facility, solar panels were installed and provide 100% of the energy necessary to maintain operation. Each vault is fully enclosed to protect your collection against potentially harmful UV light and designed to be void of any source of vibration.